Long live the open secrecy, the nature of internet! We may not be very long from the official revelation of the Google Nexus 5, the flagship smartphone from table of Mountain View company, yet with the leaks abounding, there isn’t much left under the veil. Leaked is the internal service manual, which is kind of draft but close enough to the final version, promising not just rumors but confirmed facts, that also correspond with the previously leaked information on the device. 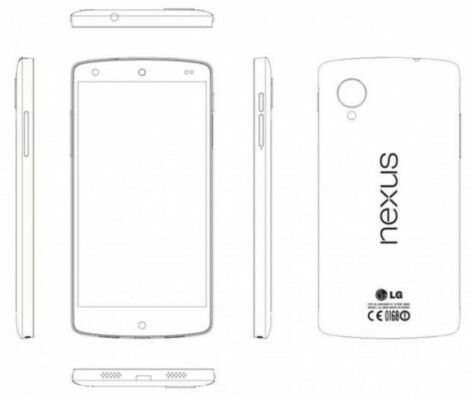 Yeah, the latest document, reported first by Android Police, has all the info you need to know about the upcoming Google Nexus 5 from LG. 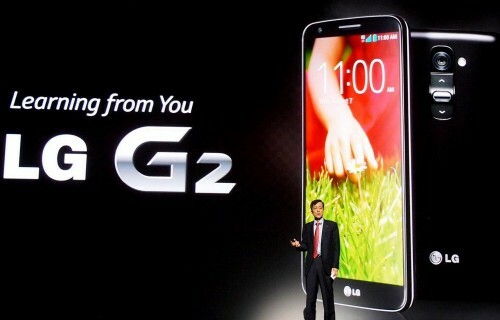 It has model name – LG-D821. We’ve previously reported leaked images, and those align side by side to the newly leaked images as well. On the specifications side, it has the powerful Snapdragon 800 chipset with CPU clocked at 2.3GHz and Adreno 330 GPU. 2GB RAM is there for the added performance benefit and multitasking convenience. The camera, however, is still 8 megapixel, though it comes with great improvements, including wider lens, OIS and more. Rest of the specs are the usual as found in high-end handsets, like Bluetooth 4.0, WiFi dual-band, GPS, lots of usual sensors, NFC. 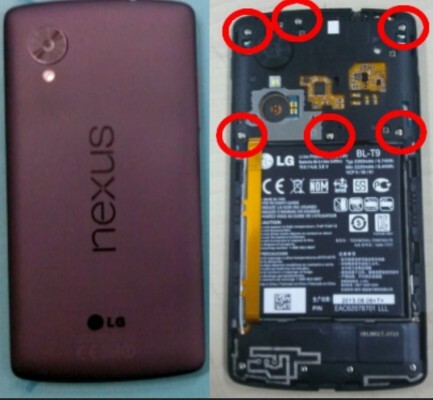 Like Nexus 4, it won’t have micro-sd card slot and the internal storage capacity will be of 16 and 32GB variants. Screen Size of 4.95 inch (12.573 cm). It comes with internal memory of 16/32 GB. Out of box, it is loaded with Android 4.4 KitKat OS. The release date of LG Nexus 5 is not yet known, but it might be formally announced either on 14th October or on 31st October. As much as we’re excited about its release date, so are we for its price. Google Nexus series smartphones have always offered premium at not-so-premium pricing. We expect the same wheel of pricing strategy to roll in launching of Google Nexus 5, and so the price of the upcoming model will be little expensive than LG Nexus 4, but not by much as is the case with the newly launched Nexus tablet in comparison to the previous generation. Why did I uninstall Hangouts app to revert back to Google Talk app?